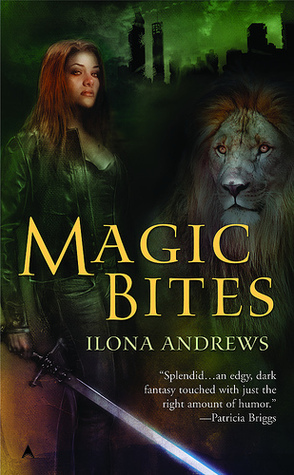 Okay, this is a bit of a departure from the books I normally talk about on here, but it's a book I've been reading quite a bit of lately. It was a gift from a dear friend (her toddler's favorite), it's the first book the Munchkin has really shown a preference for, and I have to say I like it a lot myself. It's just a really cute book. It's a lovely fall day, and a little blue truck drives down a country road. As he bumps along, he says hello (beep! beep! beep!) to all the animals he meets along the way, Before long, a big dump truck barrels along behind, shoving the truck out of the way and too full of his own importance to do more than ignore anyone he sees. So when the dump truck gets stuck in the mud, all the friendly animals develop a suspicious lack of hearing. But the little blue truck comes to help. He pushes as hard as he can, but ends up stuck along with the dump truck. 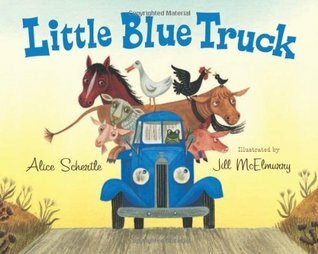 When Little Blue calls for help, all his animal friends come running to help, and together they get the trucks unstuck. Of course, the big dump truck learns a valuable lesson about friendship and being kind, and everyone goes on their way. I like that the book emphasizes kindess, friendship, and working together. I love the illustrations. The Little Blue Truck reminds me of my Grandpa Blair, a kind, generous, quiet man who also drove a little truck, and who wouldn't have thought twice about stopping to lend a hand, or taking the time to say hello.